Genetic DNA Testing or Genetic Genealogy via a DNA test is a perfect complement to genealogy research, and like Record Click, it is more affordable now than ever. To make your ancestry research journey easier, Record Click offers genealogy DNA testing kits (through its partnership with Family Tree DNA and 23andMe) to help enhance and expand your genealogy research options, and to help you uncover the deep ancestral origin of your family tree. Genetic DNA testing has proven to be an invaluable resource for family tree research by helping testing participants to solve genealogy puzzles. Depending on the test you take, you can discover the ancestry on your direct paternal (Y-DNA) or maternal (mitochondrial or mtDNA) lines. There is also autosomal (“Family Finder”) testing, which uses the DNA from both the mother and father. Genetic DNA testing can tell you what the ethnic proportions are of your ancestry, e.g., are you descended from a particular group, such as Native American, Jewish, or African. At RecordClick, we are here to help you understand and interpret the results of your genetic DNA test. They can be confusing and they can be exciting. Know how to proceed with your research after a DNA test is an important of your ancestral fact finding mission. If you are unsure or just need help answering a few questions, we encourage you to get in touch with us. 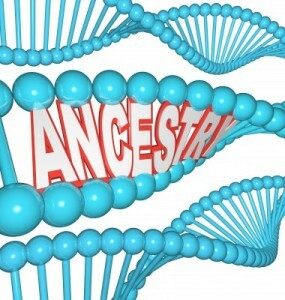 We have professional genealogist who are focused on just genetic DNA testing. 23andMe also offers autosomal DNA testing, which uses “SNP chips” that test between 700,000 and 967,000 specific point mutations called SNPs (single nucleotide polymorphisms). It also provides customers with a list of closest matches in their databases. Of the top three companies offering autosomal DNA analysis, 23andMe’s kit includes the most SNPs in its test. This information is crucial to trace family trees. Learn more and order now at 23andMe. We can customizes your family search for the genealogical research you need, for your time frame, and for your budget. Contact us to get started.